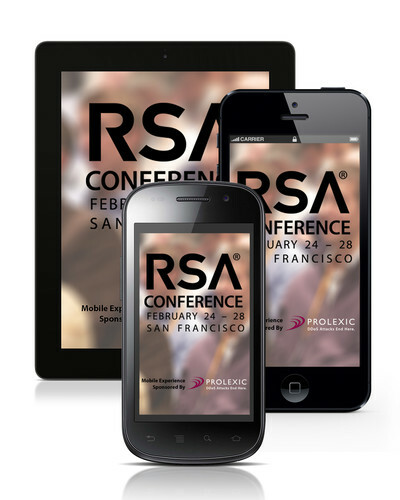 RSA Conference: Find out what the Mobile App can do! Today marks the first day of the RSA Conference! This yearly event began in 1991 and has become as a forum for cryptographers to gather and share the latest knowledge and advancements in the area of Internet security. The conference is taking place at the Moscone Center and the week will be filled with live keynote sessions, seminars, tutorials, networking and more! 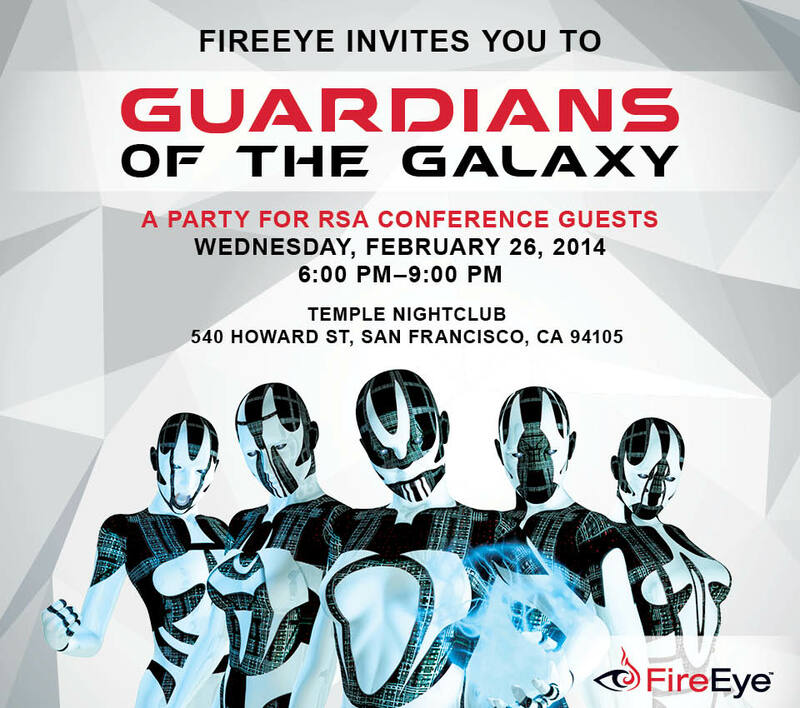 Here at ABCey, we are so excited to be producing FireEye’s Guardians of the Galaxy themed event this Wednesday in conjunction with RSA. This mobile app has tons of great features that can help you decide how to spend your time at the week long event! Its also another great example of how mobile apps can amplify the event experience. You can download it for Android or iOS here! 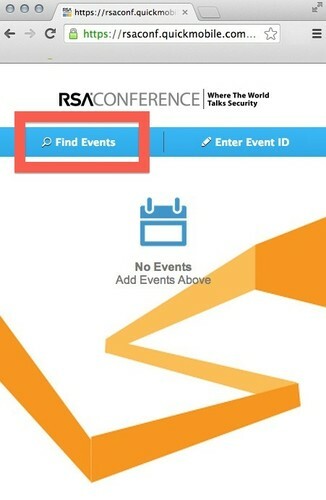 Will you be using the RSA Conference mobile app this week? Which sessions will you be attending?! Let us know in the comments below or on Facebook & Twitter! Here at ABCey, we’ve been counting down the days until San Francisco’s biggest Security event of the year! Next week, we’re excited to be producing a post- conference Guardians of the Galaxy superhero themed event for FireEye, a company leading the way in stopping today’s advanced cyber attacks. For those not familiar with the RSA Conference, it began in 1991 and has become as a forum for cryptographers to gather and share the latest knowledge and advancements in the area of Internet security. FireEye is the leader in next generation threat protection and has invented a purpose-built, virtual machine-based security platform that provides real-time threat protection to enterprises and governments worldwide against the next generation of cyber attacks. FireEye has over 1,100 customers across more than 40 countries, including over 100 of the Fortune 500, all using their real time technology to protect against major and minor threats. If you are attending this year’s RSA Conference, be sure to stop by the FireEye booth #2813 next week to learn about their newest programs and products to protect against the ever changing Internet threats. This event is not to miss! If you are an RSA attendee and interested in joining us, please let us know in the comments below or on Facebook & Twitter! With the weekend quickly approaching, we did some digging to find out how to spend our time! 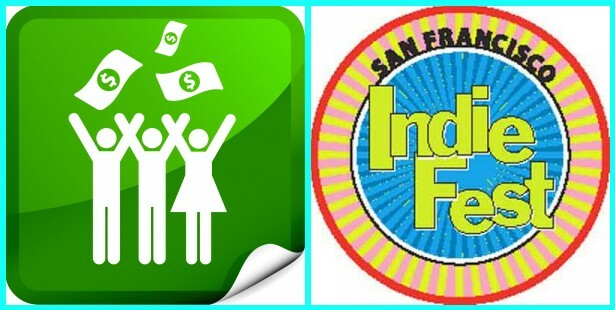 As usual, there are tons of events going on in the Bay Area! Let’s take a look at our favorites. FEATURED EVENT| The San Francisco Bay Guardian Goldies Party |The Goldies stand for Guardians Outstanding Local Discovery Awards and it represents the Bay’s annual celebration of local filmmakers, dancers, choreographers, musicians, theater and visual artists who have made their mark on the Bay Area’s diverse art scene. There will be a late night happy hour and fundraiser following a private ceremony for the winners. Come support local arts and raise money for CounterPULSE, a non-profit that offers rehearsal and rental spaces for artists! 1. Integrated Marketing Communications | Thursday, February 20th – Friday, February 21st |Courtyard San Francisco Downtown | The American Marketing Association brings the Bay Area a workshop that will provide you with the essential building blocks for effective integration of traditional and inbound marketing approaches. 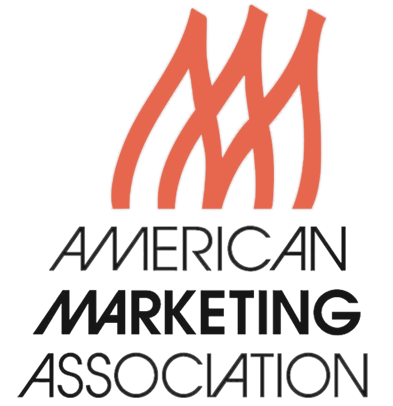 Through case studies, exercises, and best practices, you will learn how to create an integrated marketing communications strategy and deliver an engaging brand experience that contributes to revenue generation and brand value. You will leave the workshop with an understanding of the building blocks that fuel the consumer experience path! 2. 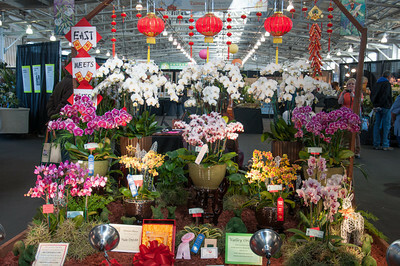 2014 Pacific Orchid Exposition |Fort Mason Center’s Festival Pavillion | Friday, February 21st – Sunday, February 23rd | The San Francisco Orchid Society invites everyone to paint the town with “Orchids and All that Jazz” at its 62nd annual Pacific Orchid Exposition. The society’s mission is to foster the culture and cultivation of orchids and to promote orchid education to its members and the public. 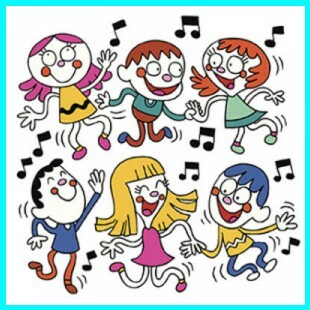 Exhibits and displays will incorporate musical creative concepts while accompanying music is playing throughout the show. The show boasts over 150,000 beautiful orchids from across the globe. 3. 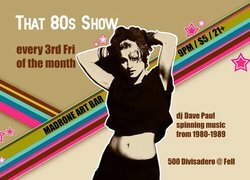 That 80’s Show |Madrone Art Bar | Friday, February 21st | 9 pm | Come check out DJ Dave Paul as he breaks down the 80s and reconstructs the decade! Cabbage Patch Kids, Rubik’s Cube, leggings, and shoulder pads are just a few things that come to mind. 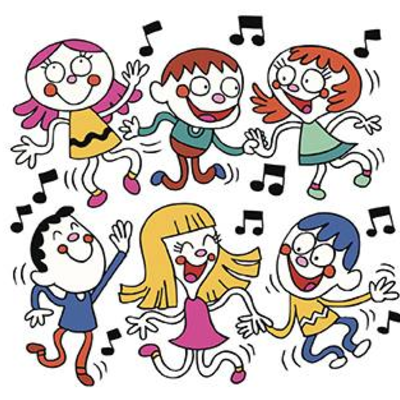 Whether your reliving your decade or experiencing what you missed, you’re sure to have a good time! 4. 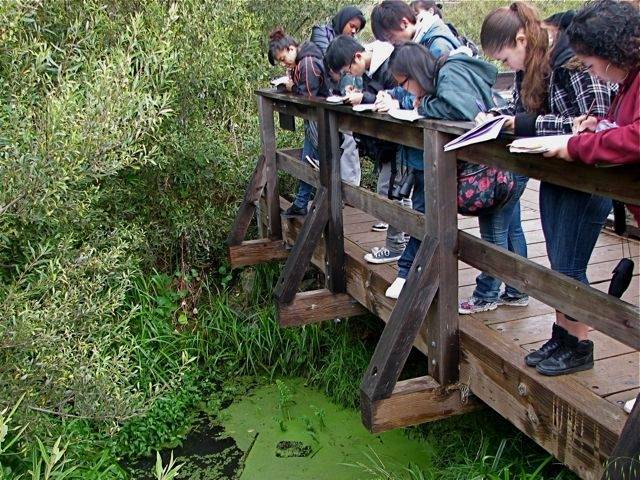 Wild Quest Kick off Event | Sports Basement | Saturday, February 22nd | 10 am | The Wild Quest Institute invites you to join the Wild Quest to save the endangered species in the Bay Area! Get outside, have fun, and save the national treasures around us. Wild Quest is a yearly competition made up of 10 “quests”. To complete each quest, you must see and help save the endangered species of the month. You have the chance to win prizes and collect points towards the end of the year $1000 award. This kick off event is a great way to start your quest and learn more about the yearly competition! 5. 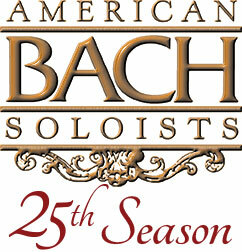 Bach’s Hercules | St. Mark’s Lutheran Church | Sunday, February 23rd | 4pm | American Bach Soloists’s 25th Season Bach Celebration continues with the composer’s Missa Brevis in G Major, the Orchestral Suite No. 1 in C Major, and Herkules auf dem Scheidewege (“Hercules at the Crossroads”), a delightful cantata about the mythic Hercules. Jeffrey Thomas lead’s a virtuoso orchestra, the American Bach Choir, and four sensational vocal soloists in this program celebrating Bach’s mastery of sacred, secular, and orchestral genres. Wind down the weekend with a truly unique performance! With lots of different events to choose from, which ones stood out to you?! Let us know in the comments below or on Facebook & Twitter! Last week, ABCey Events had the pleasure of producing the Capital One Labs San Francisco Design Studio Grand Opening on Post Street. 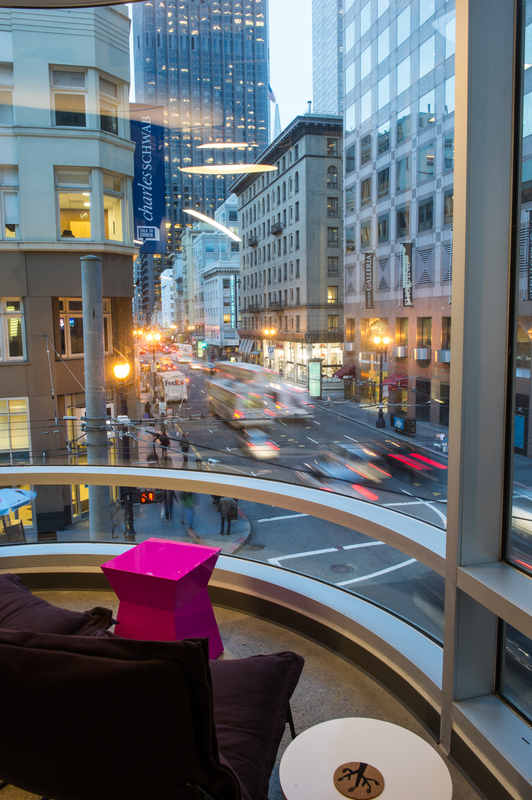 The new SF Lab exemplifies a ﬁrst-class, brag-worthy model of collaboration to research emerging technology and consumer trends. 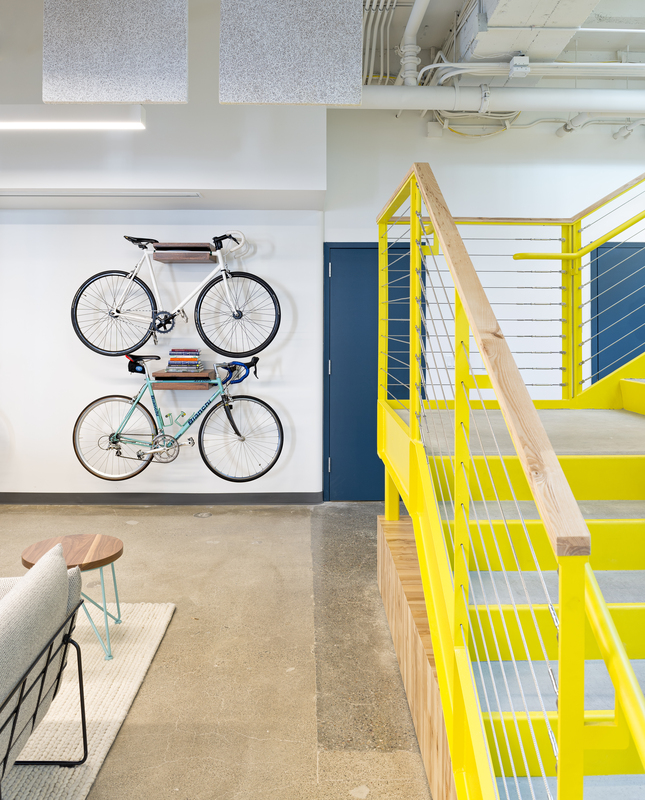 The new design space was created by renowned San Francisco-based architecture and design firm Studio O+A, with collaboration from Scott Doorley and Scott Witthoft, designers of the Stanford d.school and authors of Make Space. With its bright colors, airy atmosphere and numerous walls to write on, it is just the space to inspire groups to collaborate with each other! With such a bright space, our florals were inspired by the light and color throughout the workspace! 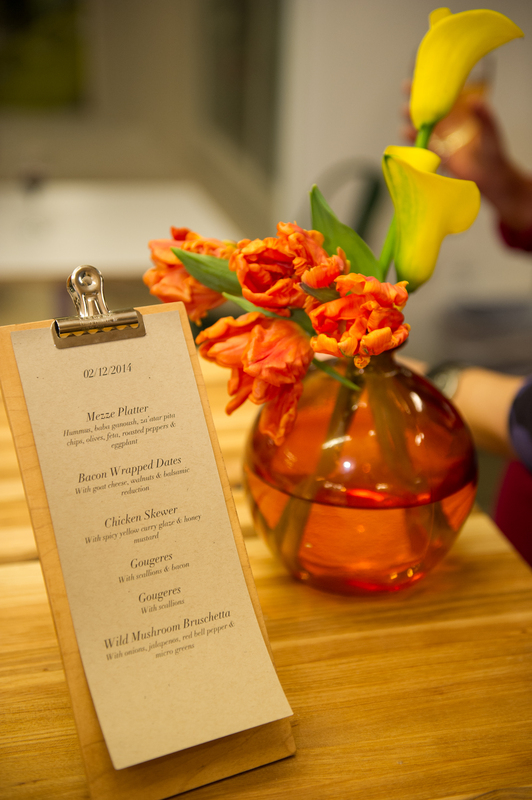 Fresh Tulips and Callas were the perfect fresh addition to the fun atmosphere. Not only that, but we had delicious KIND Bars scattered throughout, an awesome snack in addition to the great food! Capital One Labs designers and engineers flew out from all over the country to celebrate as well as see familiar faces and meet new ones. What better way to celebrate by having delicious appetizers, fun music and great wine? 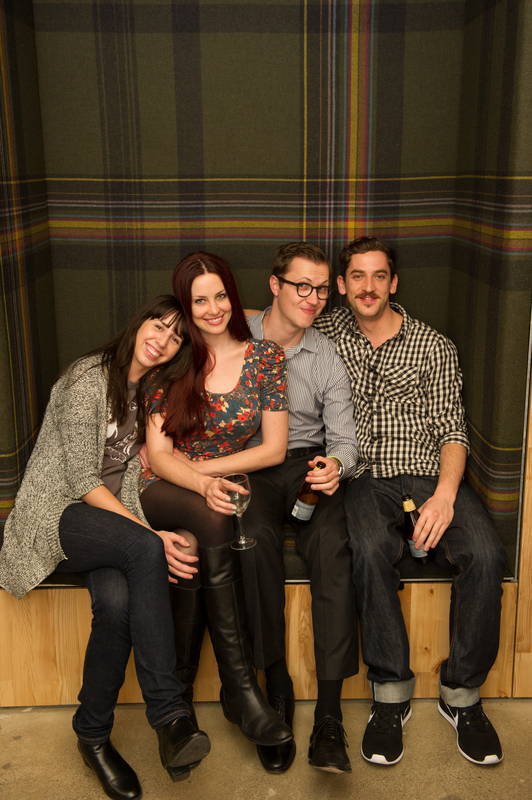 It was special to see the coworkers catch up, get to know each other and truly just have a good time in their new space. 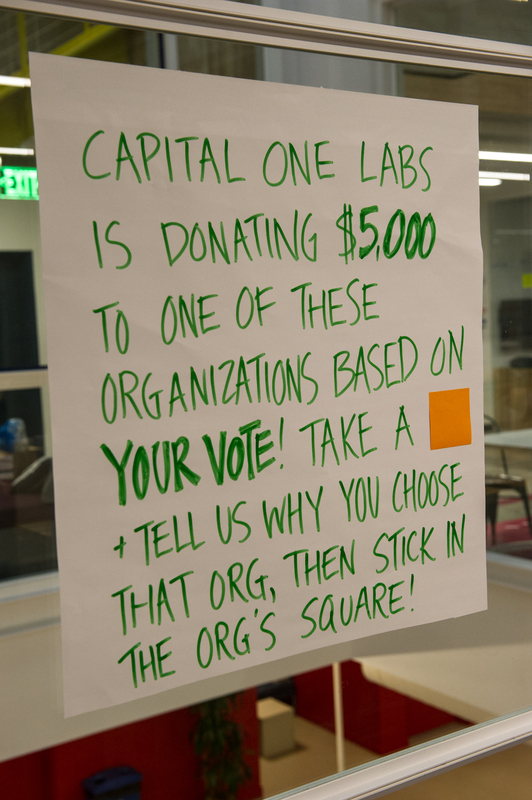 What gave the event the Capital One Labs feel was the charity survey. Guests were given the opportunity to help decide what charity Capital One Labs would love to donate to and work with. The wall was absolutely covered in votes and opinions, and well wishes for the entrepreneurs and designers. Congratulations to Capital One Labs! For more pictures, visit our image gallery here! Tech doesn’t care. That has been the stigma around the tech industry in recent years coupled with accusations of gentrification and sky high rent. To change that stigma is where Omakase Charity begins its quest. 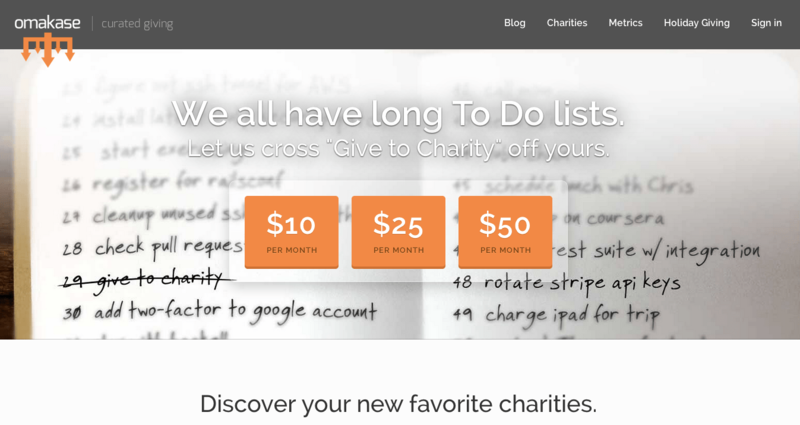 Omakase Charity is focused on bringing together fantastic non-profits and major tech giants to create visible change. Every month Omakase researches and selects a high impact, nonprofit organization and directs tech company donations towards them. At the end of the month, you can see a breakdown of exactly where your money went, a translucent process for both the organization being aided and the benefactors. This is all a part of what is being called the ‘Tech Cares Movement” to build better relationships between the tech industry and the rest of the San Francisco Bay Area. We love the fact that Omakase is helping these small, high impact nonprofits and love the concept that founder Theresa Preston-Werner has brought to center stage in the tech world! What’s even better? If you find a nonprofit you particularly have warmed up to, you can continue your donations in addition to the monthly nonprofit pick! What do you think of Omakase and the Tech Cares Movement? Let us know in the comments below or on Facebook and Twitter! Don’t forget to sign up here! Silicon Valley’s biggest event of the year is finally here! Tonight, we find out which companies will win Tech Crunchies Awards. Here at ABCey, we decided to dive into those nominated for Best Education Startup. We think each company in this category has made valuable contributions to changing the face of education. Let’s take a look at the nominees! 1. 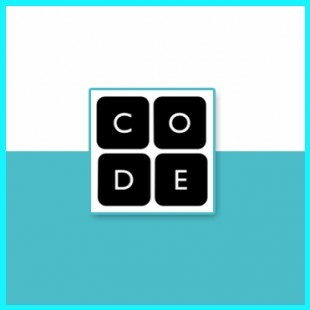 Code.org: This non-profit organization is committed to growing computer programming education. This startup believes every student in every school should have the opportunity to learn computer science, and the subject should be included in the core curriculum of U.S. education. Code.org’s mission is to spread the word that there is a worldwide shortage of computer programmers, and that it is much easier to learn to program than you think. Online courses, brick + mortar schools, and summer camps can provide students with computer programming education! 2. 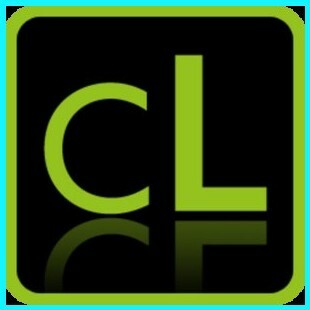 CreativeLIVE: The world’s leading live, online classroom is designed for creative entrepreneurs. This startup is transforming the $100 billion continuing education market by offering complete access to the brightest teachers in the world via a social and interactive video platform. Anyone in the world can watch the live-streamed classes for free. Copies of the courses are available to purchase at any time. Since the company was founded in 2010, more than one million students from over 200 countries have utilized the platform, and popular classes have attracted more than 150,000 students! 3. 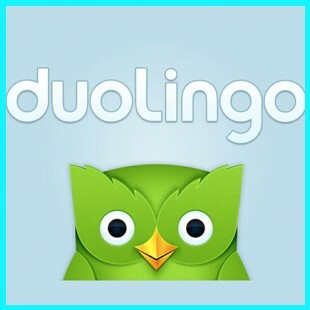 Duolingo: This free language learning service is fun and user-friendly! While you are learning a new language, the users help translate the web, completing sentences, and rating other users’ translations. This startup offers courses in Spanish, French, Italian, German, and Portuguese! An independent study was conducted that proves Duolingo trumps university-level language learning. The app is also available for iPhones and Androids so you can be productive on the go! 4. Khan Academy: A free world-class education is available for anyone anywhere. This educational non-profit produces a collection of free online micro lectures on various subjects such as mathematics, finance, physics, computer science, history, astronomy, economics, chemistry, and biology. Game mechanics are also incorporated to reward students with badges for reaching certain skill levels. 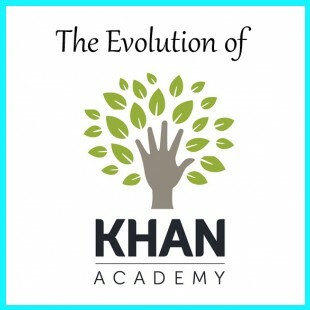 Khan Academy’s resources and materials are available to anyone and it is free of charge. Stats are available to track what you’ve been learning and whether or not you are hitting your goals. 5. Treehouse: Affordable technology education is available for people everywhere! 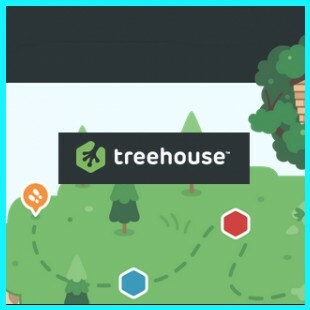 In order to help subscribers learn web design, development, and iOS development, Treehouse uses short videos, quizzes, and badges. The service comes at a cost of $29 to $49 dollars per month. You are guided each step of the way. To start, just hop onto a track. Tracks offer guided pathways through the content. Content is structured in a way that makes it quite simple for you to learn skills within a specific role. 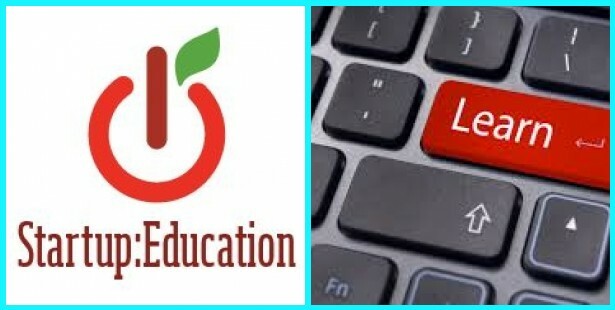 Technology is truly changing the dynamic of education and educational resources are readily available for professors and students with access to the web. Each of these startups are helping people achieve their dreams. Which one do you think should win an award? Let us know in the comments below or on Facebook and Twitter! Valentine’s day is right around the corner and here at ABCey, we’ve been chatting about what to get that tech savvy Valentine. 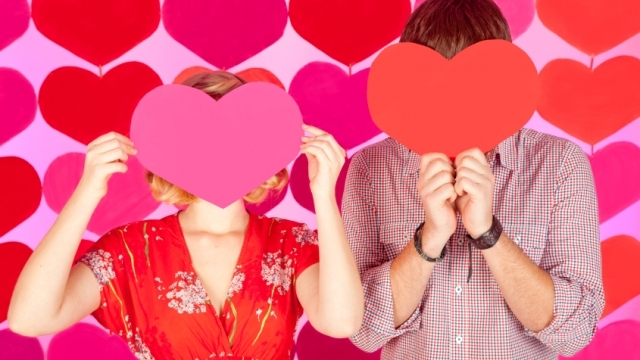 We’ve done some digging and found great gifts for any Valentine with a passion for technology! 1. 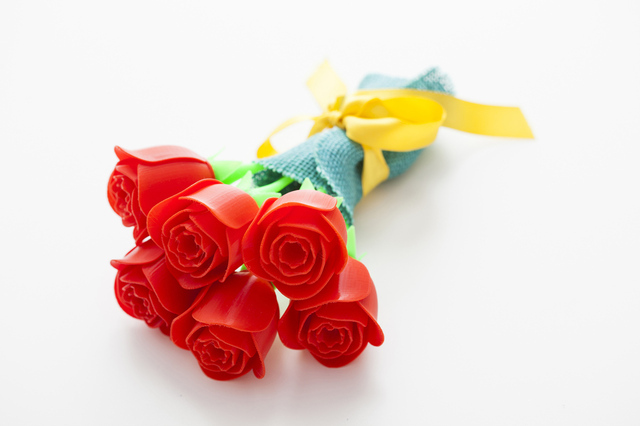 3D Printed Roses: Give the traditional gift of roses with the ultimate tech spin, 3D printing. You can now order single or dozen roses that are printed instead of grown, lasting forever and exemplifying the strides 3D printing has made in such a short period of time. Makeshop by Brit+Co is partnering with TaskRabbit to help you deliver a futuristic gift to your favorite Valentine. 2. Pebble Watch: Beauty, practicality and technology are all wrapped in one with the Pebble smart watch. Pebble has been the talk to tech wearables with its simple design and fashionable styles (it comes in steel, black and leather) as well as durability. We loved it at CES this year and we know this is the perfect gift for our practical Valentine. 3. 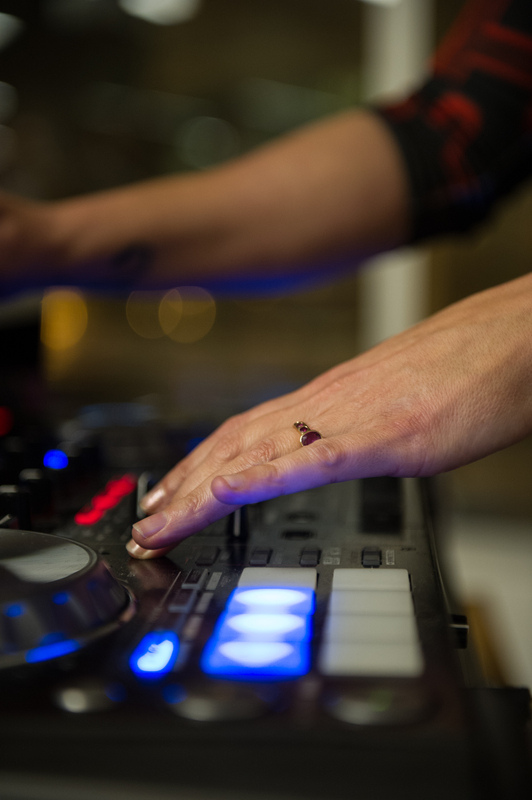 Jawbone Jambox Mini: If your Valentine takes the party with them wherever they seem to go, the Jambox Mini is just what they need. The small, ultra slim unibody design means it can go wherever you go! What’s even better? It has 10 hours of battery life which means the party won’t stop until you say so! Check out more of the Jambox mini specs here and decide if it’s perfect for the party animal in your life! 4. 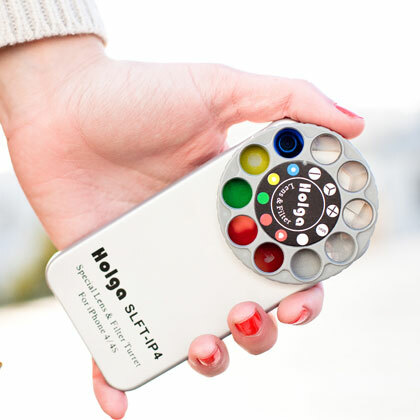 Holga Smart Phone Lens: The Holga camera was one of the most exciting camera lenses to play around with and now you can bring the effects of a Holga camera and film to your smartphone! High resolution digital cameras and traditional point-and-shoot cameras have been replaced with the iPhone and the Holga is just one of many new external lenses that now mount onto smartphones, giving you the diversity of interchangeable lenses and options while on the go. We love this option with its old school telephone dial set up and sleek design, its perfect for our personal paparazzo! 5. Chromecast: Chromecast is perfect for the TV/media junkie we all know and absolutely love! This small but amazing device will connect you to your favorite shows, movies and music from almost any service almost anywhere! Chromecast works with devices you already own, including Android tablets and smartphones, iPhones®, iPads®, Chrome for Mac® and Chrome for Windows®. Its the perfect gift for our pop culture informant, and we get to watch with them which is always a plus! What are your plans for Valentine’s Day? What gifts are you giving the special people in your life? Let us know in the comments below, or on Facebook and Twitter! Don’t let the rain stand in the way of getting out this weekend! There are tons of awesome events going on, and we can’t wait to share our favorite picks! Our Weekend Lineup features a great mix of activities including tech mixers, a Film Festival, a Valentine’s themed 5k dash, and more. 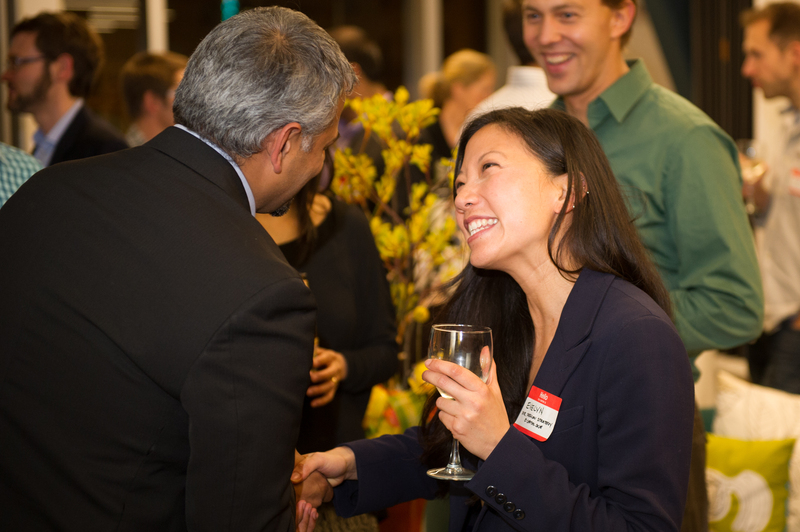 FEATURED EVENT | Startup & Tech Mixer| 181 Third Street |Friday, February 7th| 5pm | San Francisco is a city filled with startups and tech companies! 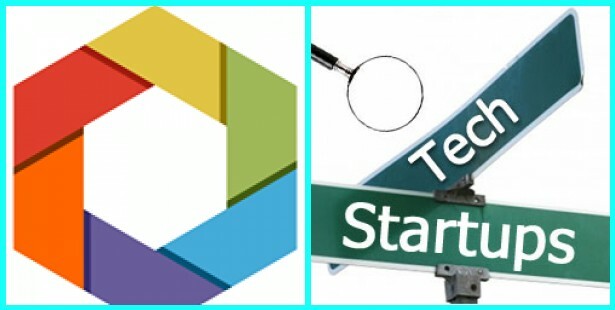 The Startup & Tech organization creates opportunities for learning, inspiration, and creation. The platform fosters an environment where participants can have interactions with the best and brightest of today’s innovators. This fun experience will include music, interactive exhibits, art displays, a speaker series with 4 dynamic panels and more! Get your tickets for this can’t miss event. 1. CrowdFunding Movement Extravaganza| 111 Minna|Thursday, February 6th |6-10 pm| The CrowdFunding Movement is throwing a party to celebrate Valentine’s Day. Come enjoy delicious sweets and drink specials at the city’s premier entrepreneurship event made possible by Crowdfunders for Crowdfunders. Product designers and developers will participate in a Keynote Speaker Series to showcase how they are using crowdfunding and technologies to startup. Entry is free, so get your tickets now! 2. SF Independent Film Fest | Roxie and Brava Theaters |Ongoing from February 6th|One of the cities biggest film festivals, also known as SF Indie, celebrates its “Sweet 16th” and kicks off this weekend! This annual festival showcases the best in independent, alternative, and subversive cinema from all around the globe. Screenings will be held at the Roxie and Brava Theaters in SF and at the New Parkway in Oakland. Don’t forget to attend the awesome parties such as the annual Disco costume party and The Big Lebowski party! Check out the full lineup and ticket information. 3. Food from The Heart| Ferry Plaza |Friday, February 7th |5-7:30 pm|Come out to stroll the candlelit Grand Nave where the Marketplace merchants and restaurateurs will be offering seasonal hors d’oeuvres ($2-4 each) and Slow Food will pour wine from different wine bars($6-8 per glass). The proceeds of these purchases benefit Slow Food San Francisco. Additionally, you can take advantage of the marketplace shops open until 8pm for Valentine shopping! 4. 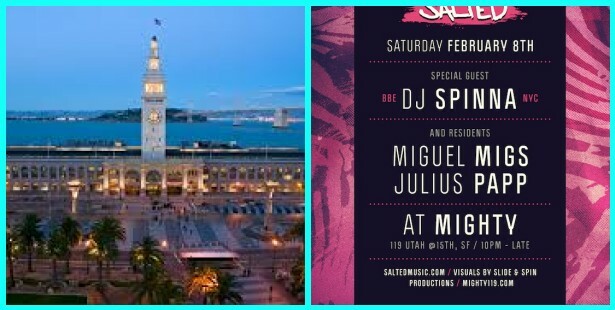 Salted featuring DJ Spinna|Mighty|Saturday, February 8th |6-10 pm|Best known around these parts for his Wonderfull Stevie Wonder tribute nights and Michael Jackson vs. Prince “soul slam” events, DJ Spinna makes his way back to the Bay from Brooklyn. He will debut at the soulful house haven Salted. As both a producer and DJ, Spinna has deep roots in house, soul, funk, and hip-hop. We can definitely expect to hear an eclectic mix from him! 5. 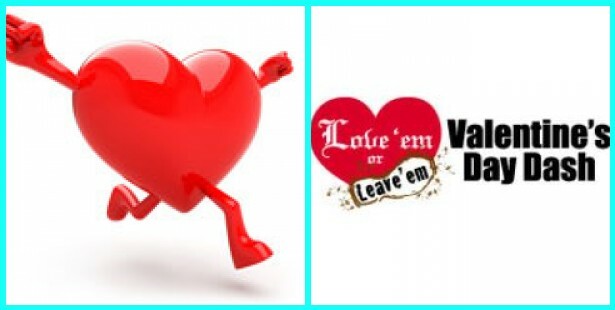 San Francisco Valentine’s Day Dash 5K|Music Concourse, Golden Gate Park|Sunday, February 9th |9am|Come out for this Valentine’s day themed run/walk where people can participate individually or as a two-person team! There will be a costume contest, participant shirts, Tunnel of Love sign making area, free food and drink, and a finish-line festival beer garden! There is also a free kids dash for children 10 & under. Let us know which one’s you will be attending in the comments below or on Facebook & Twitter! Stay warm & dry kids! 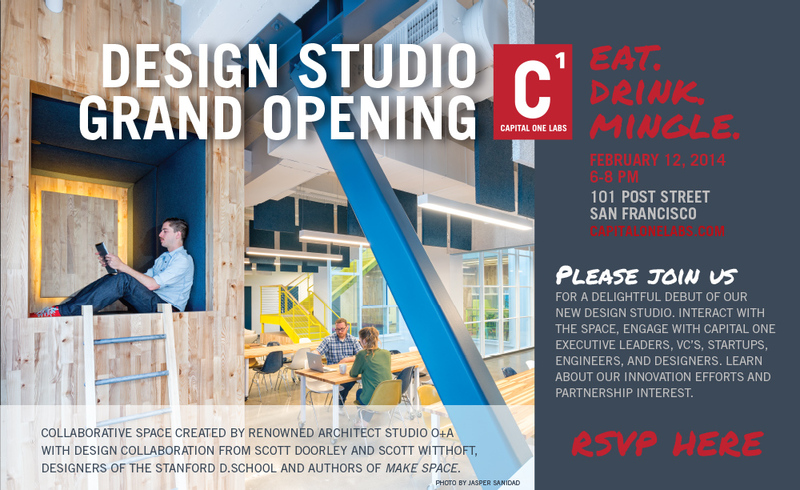 ABCey is excited to announce the Capital One Labs San Francisco Design Studio Grand Opening to be held on Wednesday, February 12th. The new SF Lab will exemplify a ﬁrst-class, brag-worthy model of collaboration to research emerging technology and consumer trends. 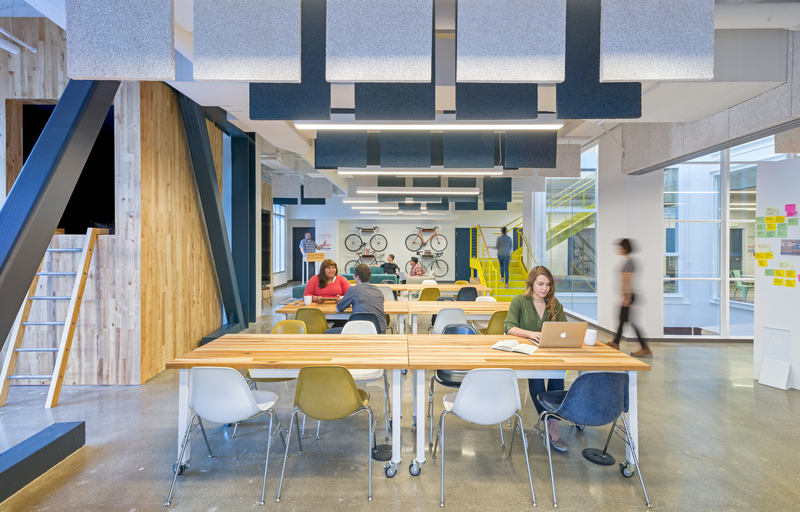 The new design space was created by renowned San Francisco-based architecture and design firm Studio O+A, with collaboration from Scott Doorley and Scott Witthoft, designers of the Stanford d.school and authors of Make Space. Two years in the making, the SF Design Studio’s goal is to combine 70+ entrepreneurs and connect with current Design Studio locations around the country to encourage change in the way we bank. Their mission to ‘re-imagine the way 60 million people interact with their money.’ Located at 101 Post Street, the studio is already home to Cafe 360, which encourages people to learn time saving money tactics as well as enjoy free WiFi and a cup of coffee. 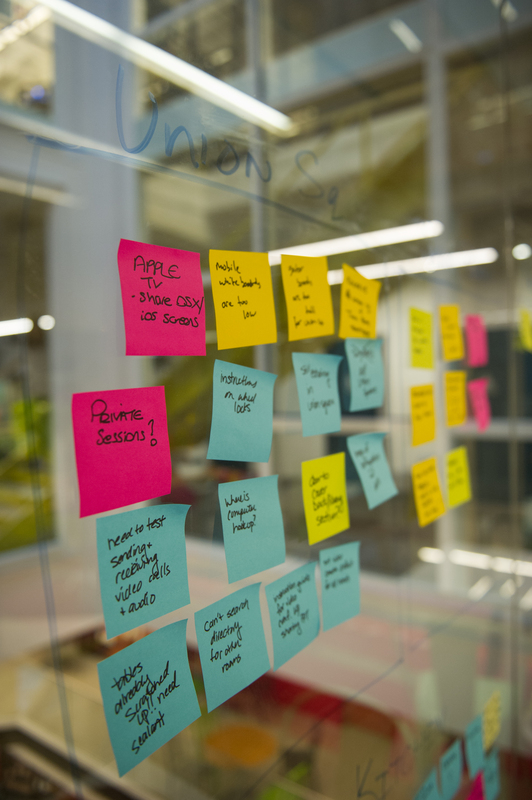 Capital One Labs is continuing and expanding on the laid back feel of a start-up with their new Design Studio which will act like an accelerator of ideas, theories and products. The new space feels far removed from a corporate atmosphere, focusing on spaces for small groups, visibility and open floor plans. These aspects encourage people to think in the presence of others rather than alone, and create the environment for generating new ideas. Let us know what you think about this new startup accelerator in the comments below or on Facebook & Twitter. If you are a Venture Capitalist, Startup, Designer or Engineer interested in learning more about, or attending the Grand Opening, please let us know! For inquiries, email Events@abcey.com. The world is constantly experiencing change due to advances in technology. With the 7th Annual Crunchies Awards just a week away, we decided to reflect on companies that made the biggest impact in 2013. Watsi came right to mind. The global crowdfunding platform for healthcare enables anyone to donate in order to directly fund life-changing medical care for those in need. The idea was developed by co-founder Chase Adam when he was visiting Watsi, a small village in Costa Rica. Chase noticed that while he was riding a bus through the village, a woman was walking through the isle holding a red folder and speaking to the passengers. The woman had a picture of her son who had an incision across the width of his stomach. Chase realized that although the bus passengers could help, what if he could connect the woman with his friends and family back home? 1. Connect. Browse different profiles on Watsi.org and connect with a person in need that you would like to support. 2. Fund Treatment. Make a donation of any amount you choose, as little as $5 can go a long way. This will fund a life-changing medical treatment for helping the person of your choice. 3. Get an Update. Not only can you fund a patient. Watsi goes even further. Receive an update about the outcome of the treatment you funded. You can directly learn about the difference you made in one’s life. 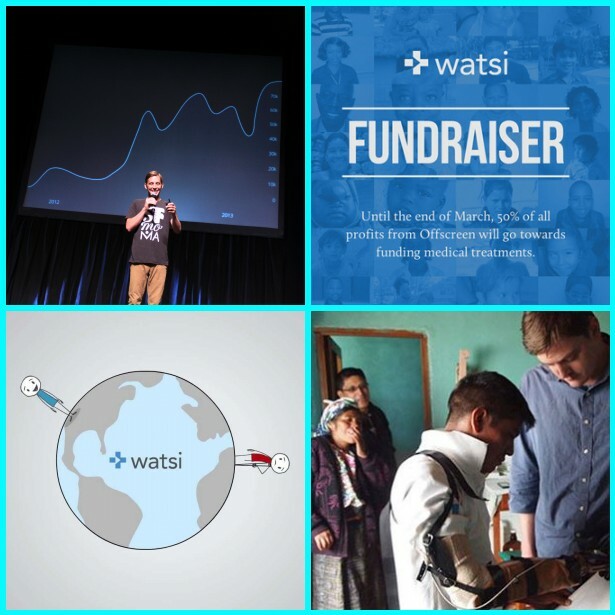 Watsi has an empowering vision: A world where people no longer die from conditions that society has the knowledge, resources, and power to treat. This non-profit startup is bringing the world together and giving us access to become connected with those in need. We are seriously impressed with this platform and the social impact it has made! 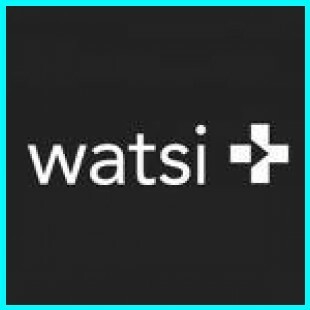 What do you think of Watsi? Let us know in the comments below or on Facebook & Twitter!